Living in Philadelphia, Caleigh Stednitz is a weaver with an eye for pattern and color. Utilizing methods from the ancient technique of Japanese shibori, she applies a resist to the yarn either prior to or after weaving the fabric. She then dyes the yarn with natural dyes created from matter such as onion skins and black beans. 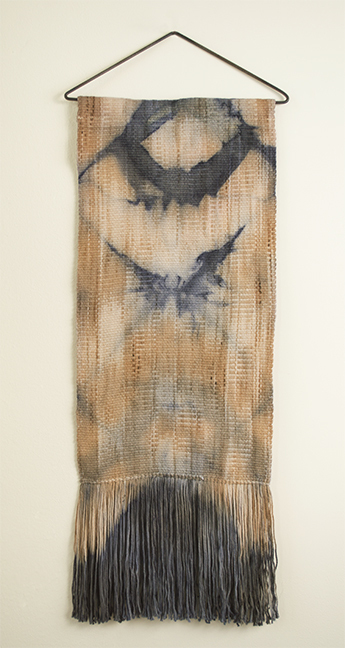 Caleigh captures the beauty of these colors and the subtle hue shifts they create through the process of ikat weaving. Combining the ancient techniques of ikat and shibori, she strives to create weavings that are not only modern, but also comforting in a home. Before you head back to school, hit the books, and no longer have the time to be concerned with what your hair is doing. Come to Lather. 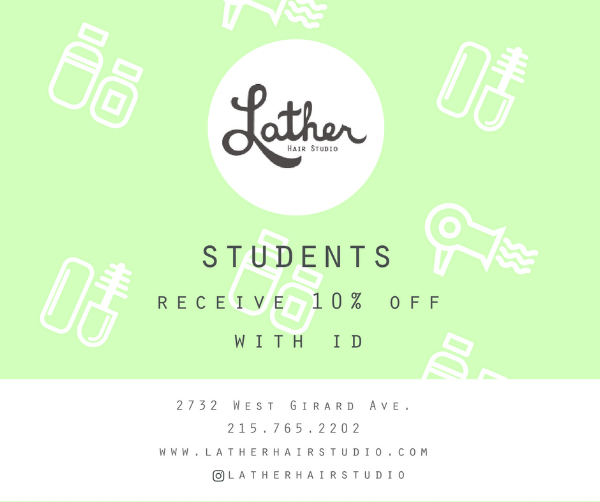 Students receive 10% off any service for the months of August and September. 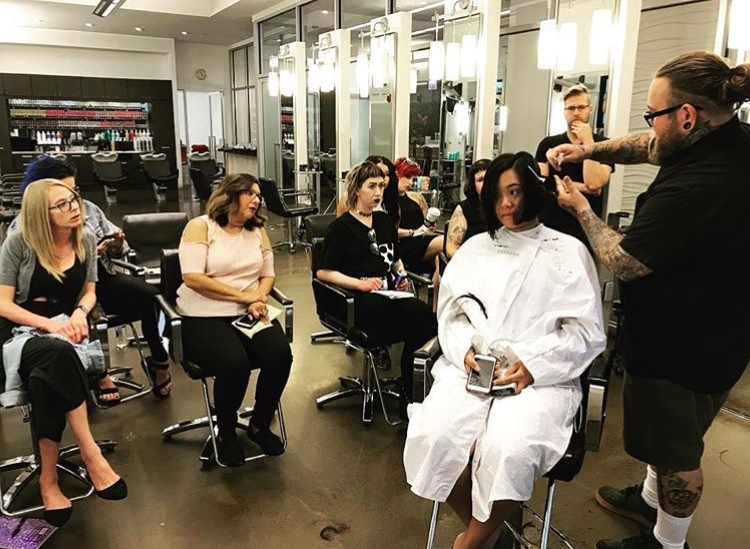 Last month stylist's Kat and Abbey headed to Chicago to take part in a 5 day hair cutting course at the Vidal Sassoon Academy. This class focused on touchstone techniques used by Sassoon trained stylists providing the time and space to truly perfect lines, graduation, layering and their combinations. We gladly welcome them back and can't wait to see what they have to share with the Lather community.